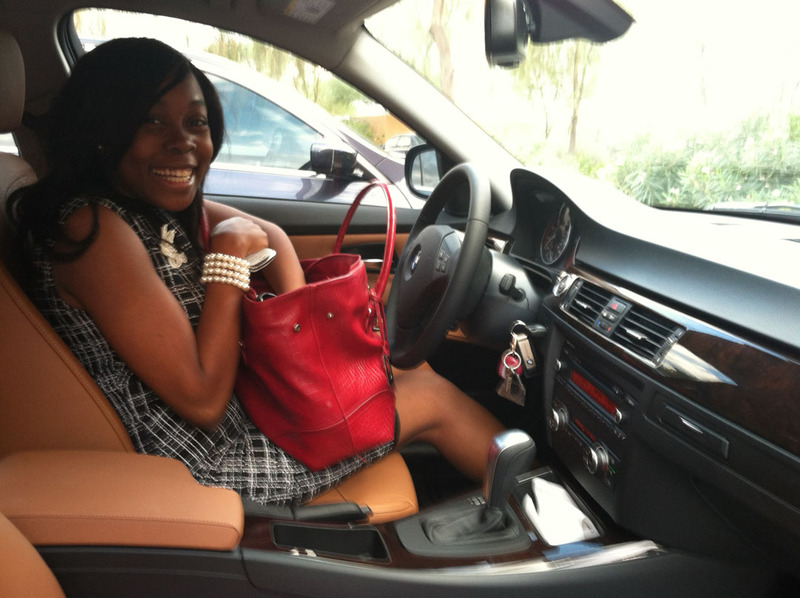 Every once in awhile I get an extreme case of “new car itch.” I had an episode this afternoon when I learned that my coworker Kunbi picked up a brand new BMW 3-series over the weekend. I checked it out after work and couldn’t stop breathing in that new car smell. The odometer on her car? Just 102 miles. Wow! As I made my way to my 498,000 mile car I wondered if I’ll ever own a car that fresh. Here are a couple of pictures from tonight’s drive home. The beauty of Desert Mist Metallic is that you can’t tell the car has gone nearly a month without a wash.
It’s running great but there are a few things I’ll have done on my next trip to the Acura dealership – probably next week. 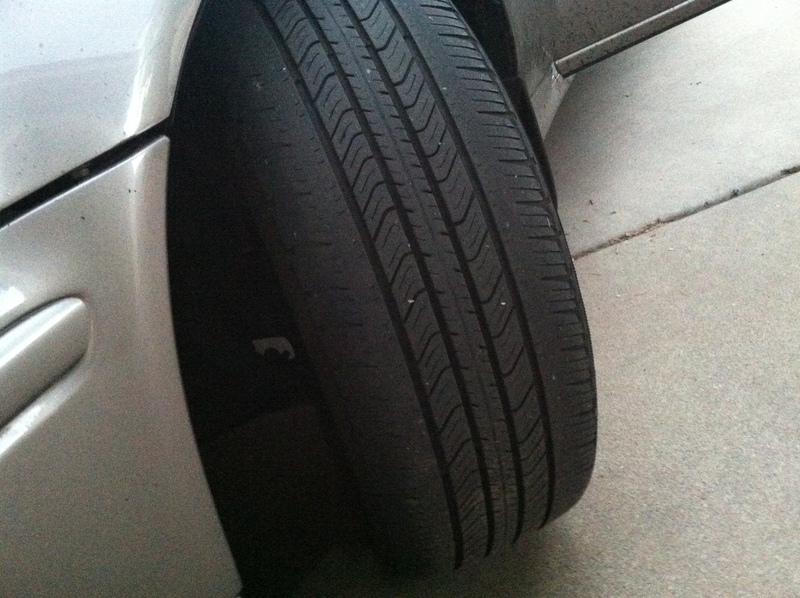 My tires are due for a rotation and they’re wearing pretty badly on the insides on the front end. I also plan on finally having the windshield replaced. 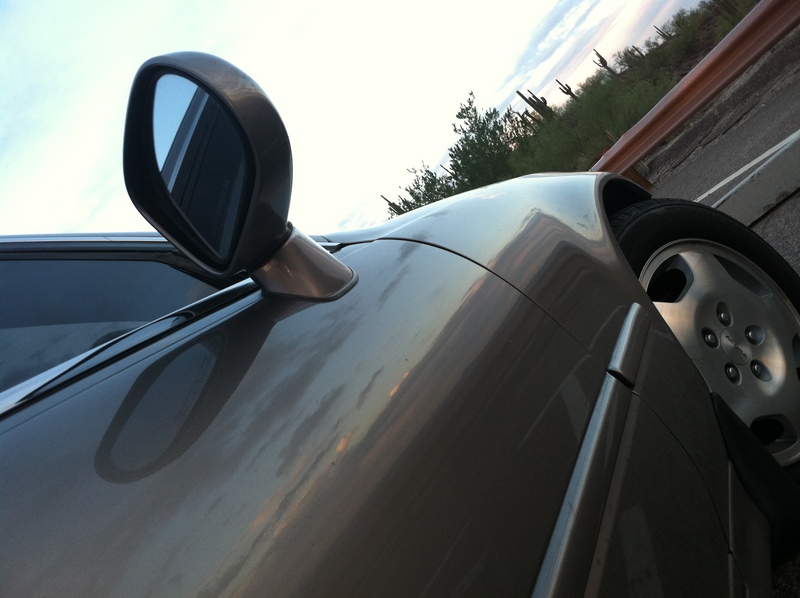 As you’ve noticed, I’m posting daily with some of the stories and adventures that my Acura and I have been through. The Legend has been with me since I was 21 years old. It got me through 3 college degrees, 6 or so houses, and lots of road trips. 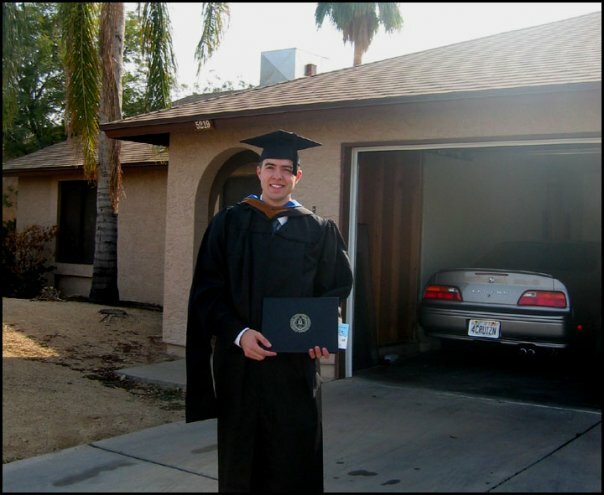 Here is a picture from when I completed MBA school in Glendale, Arizona in 2006. And from the day when I met up with my real estate agent to finalize paperwork when I bought my first home in February, 2007. 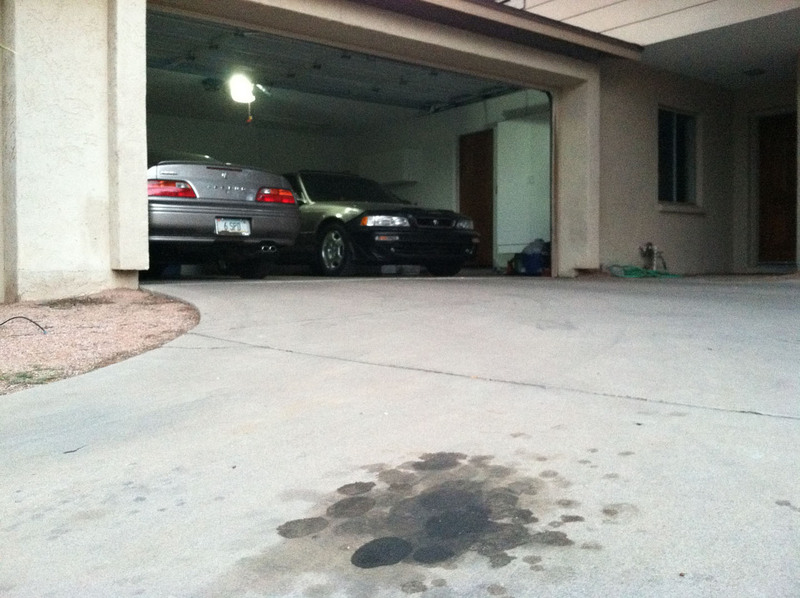 But I had plenty of car love in my blood before I became so crazy about my Acura. I thought I’d pause for a minute on the blog and talk about some of my old rides. 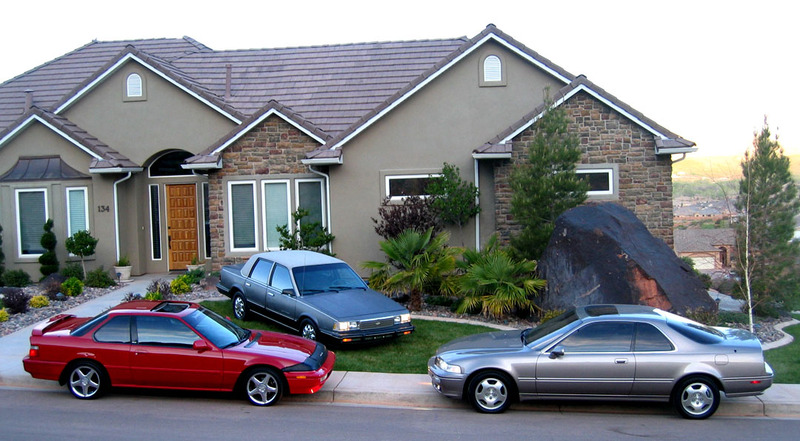 My first car was a 1986 Chevy Celebrity Classic. My parents bought this beauty new off the showroom floor in Logan, Utah. 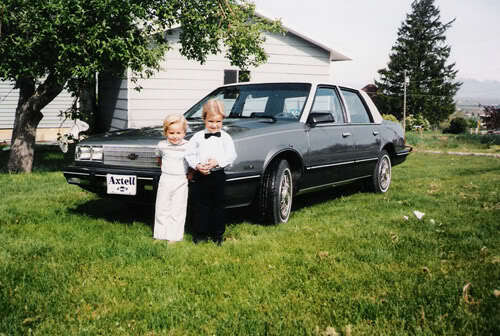 Here I am with the black bowtie and my brother Bentley in front our new car in Richmond, Utah. After 11 years of being passed around the family (it went to the east coast for a time under my uncle’s ownership), I was given the keys to the Celebrity at age 16. 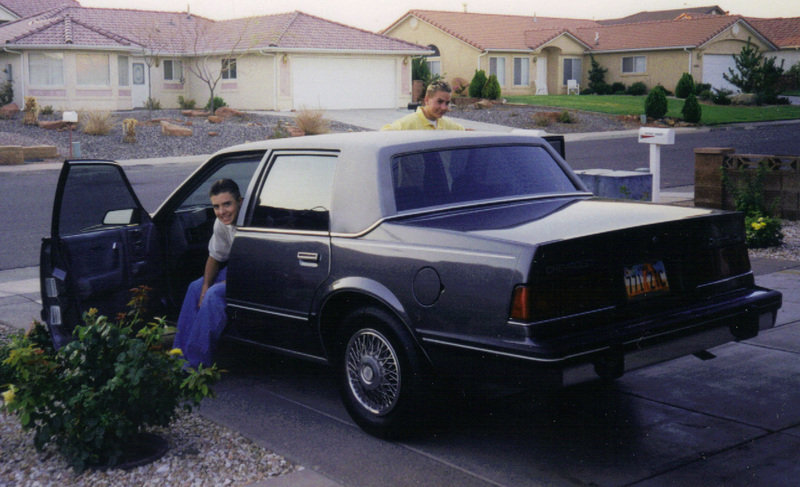 A $500 Maaco paint job later and I was rocking this thing to high school proudly – complete with a vanity license plate that said “HUGGIE’S” in honor of my last name. The 6-seat capacity (bench in the front!) made my ride a popular one among my high school friends who didn’t yet have their licenses. Yeah, wire wheel hubcaps and vinyl roof. I was cool! 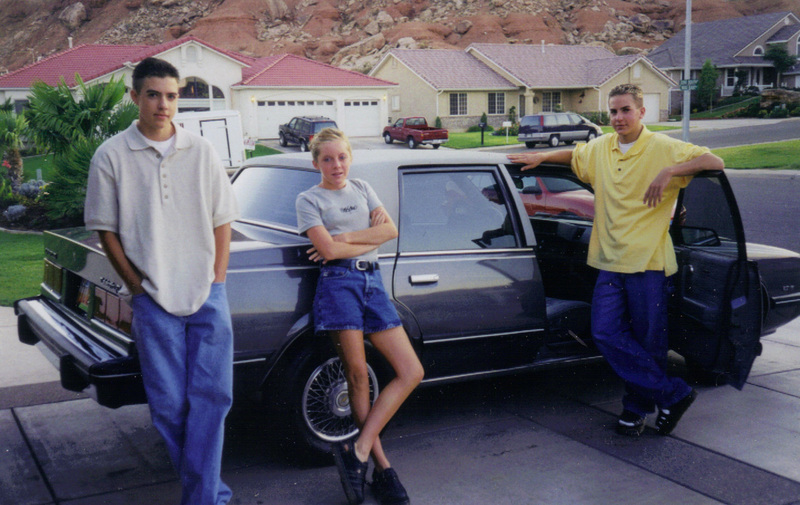 Here’s my carpool gang — Holly (neighbor) and younger brother Bentley standing to the right of me in the picture. 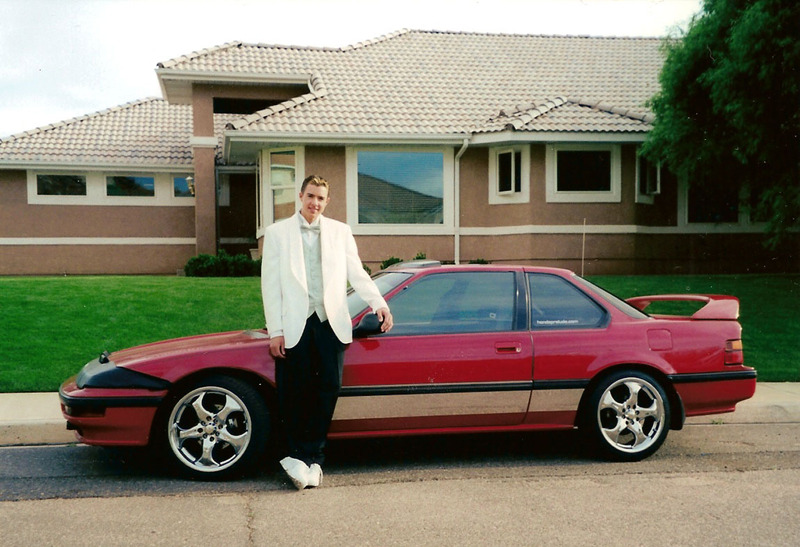 My second car was a 1989 Honda Prelude 2.0 Si 5-speed which I modified in a way that any high schooler would be expected to — in very poor taste (much like my tuxedo in this picture from Senior Prom in 2000). I did love that car though. White skater shoes. Really? Years later, after I’d long since sold the Celebrity, I had the chance to buy it back – and I did. The second round of ownership was short-lived. As exciting as it is to own your first car again, in this case the logistic difficulties outweighed the sentimental benefits because I had no place to park it. When I sold the car (the second time), around age 22, it had 194,000 on it but only read 94,000 because of its lack of a 6th digit. To think, if my Legend had only a 5-digit odometer I would have rolled it over 4 times by now. 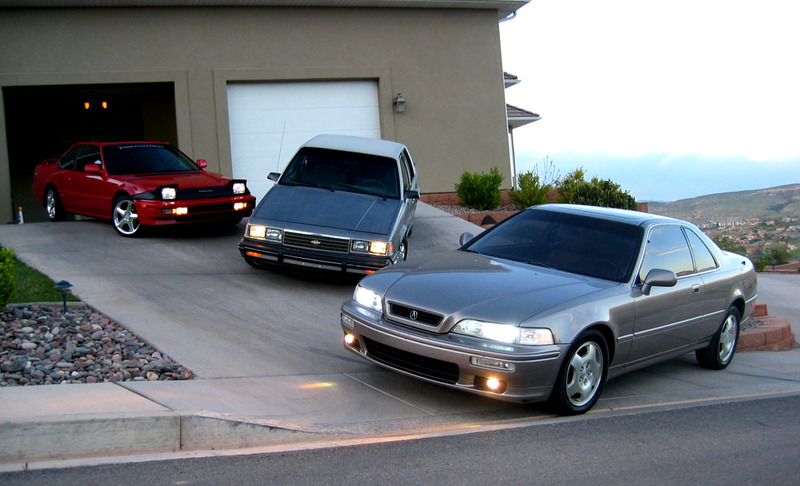 For a very short time around 2004, I owned the Legend coupe, the ’86 Celebrity, and a 1991 Prelude Si 4WS and I pulled all 3 out for a photoshoot at our home in St. George, Utah. 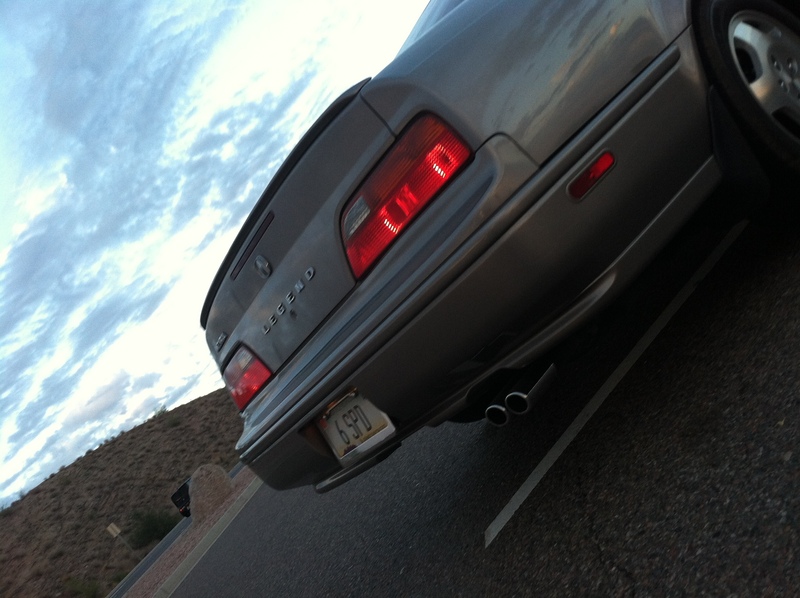 I’ve owned several Preludes over the years since that first 1989 Si. They are amazingly fun cars, especially the versions with Four-Wheel Steering like I had. I’m now at nearly 9 years of ownership on the Legend and still have a smile with each drive. This entry was posted on October 25, 2011 at 1:08 am and is filed under Throwback. You can follow any responses to this entry through the RSS 2.0 feed. You can leave a response, or trackback from your own site. One word comes to mind: OBSESSION. It takes one to know one. See you in 10 days! Obsession to the Nth degree for sure! maybe you should have your roommate do what alan makes me do with my Leaky Legend [put down cardboard under the car to contain the leak] i’ve extended this practice to having cardboard in my garage ready to go for when I get back home to keep it off the floor. 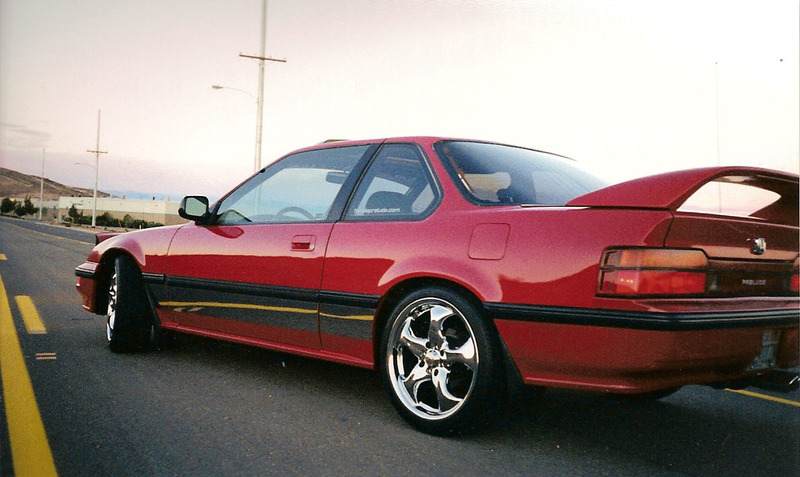 also seeing that prelude makes me miss my lude, what an awesome car that is! Haha, good call on the cardboard. Yeah those Ludes still catch my eye every single time. I really miss my 4WS. I wonder who picked up that 20k mile red 89 4WS that we saw on Ebay a couple weeks ago… pretty rare/nice! I will have to make it back out to FL again and make sure I see KA8 this time. I would dare say that is the least attractive “celebrity” photo shoot I have ever seen. I know! When are you going to start a blog for your 600 vehicles bought & sold!